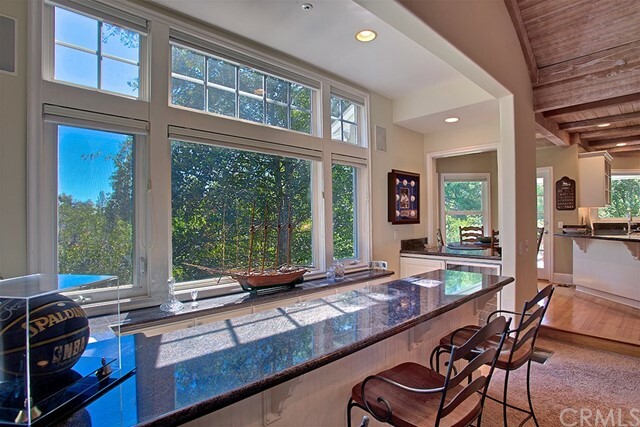 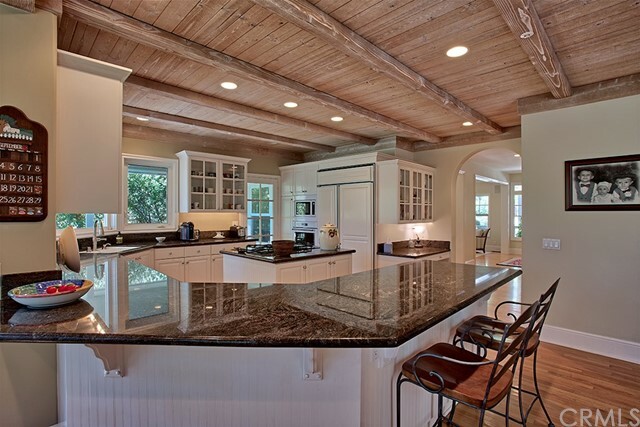 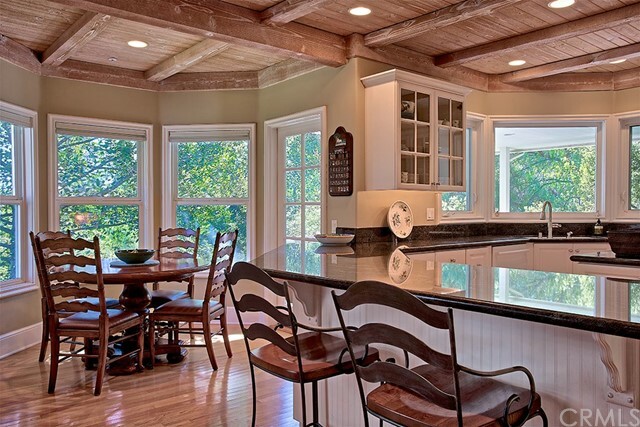 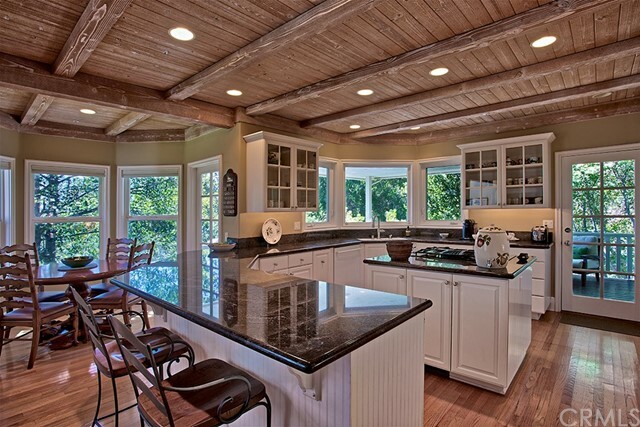 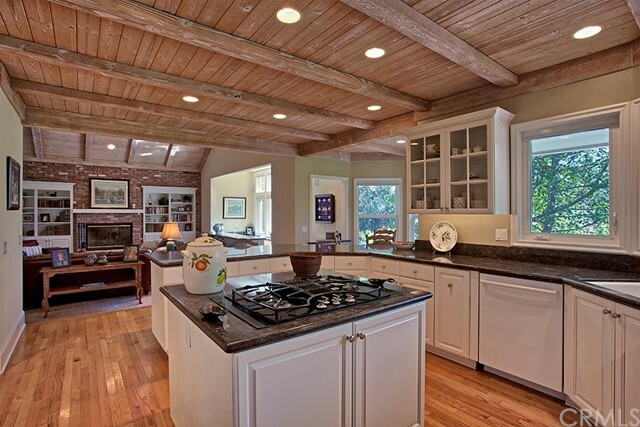 Beautiful, New England style custom home in a unique setting surrounded by mature trees and lots of open space. 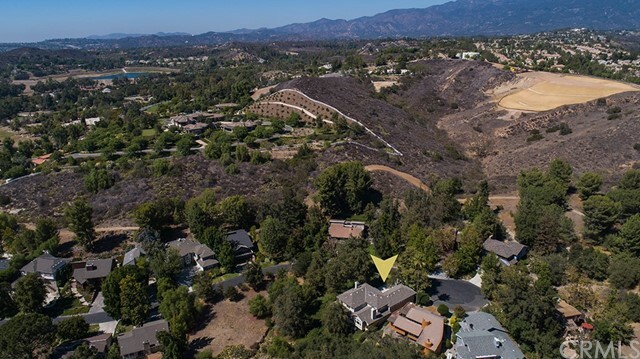 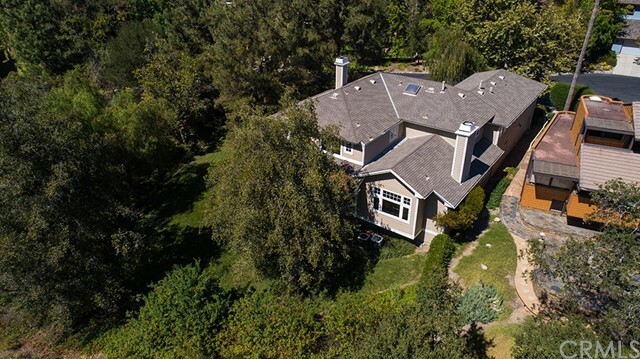 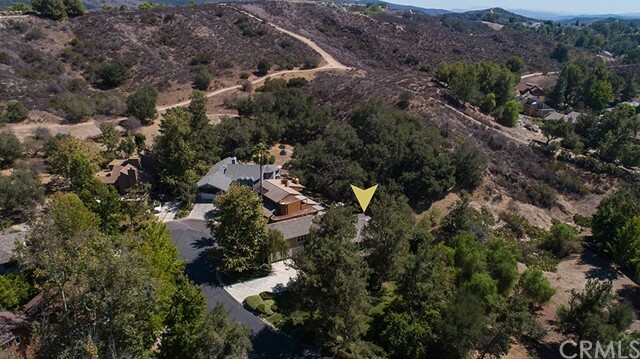 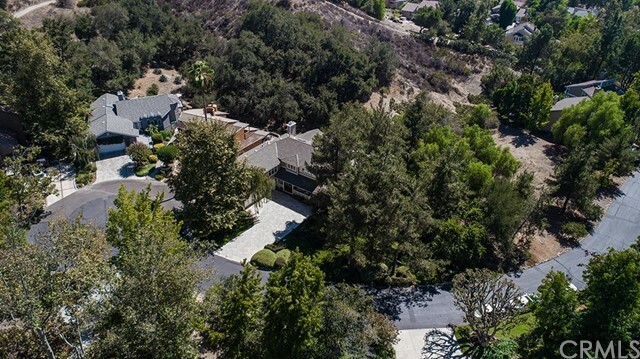 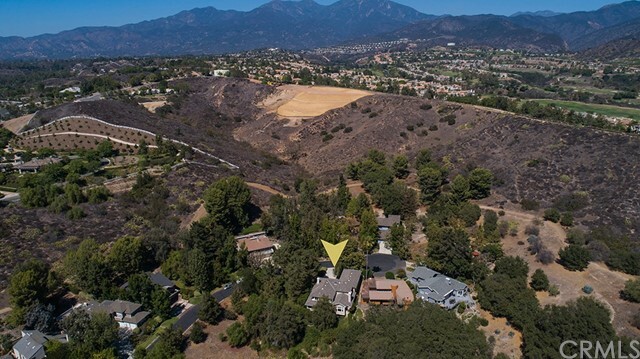 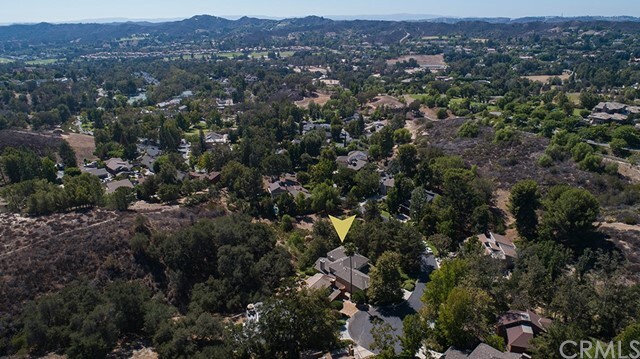 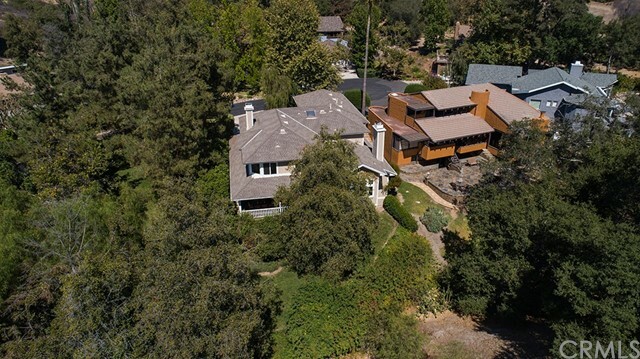 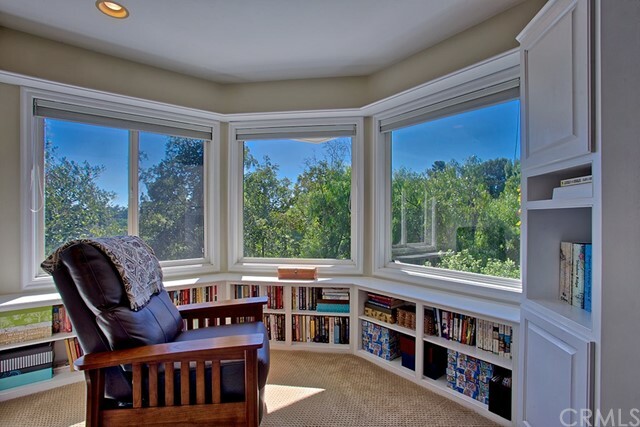 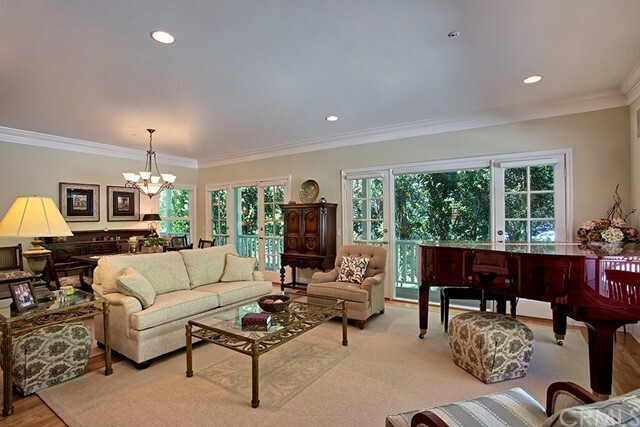 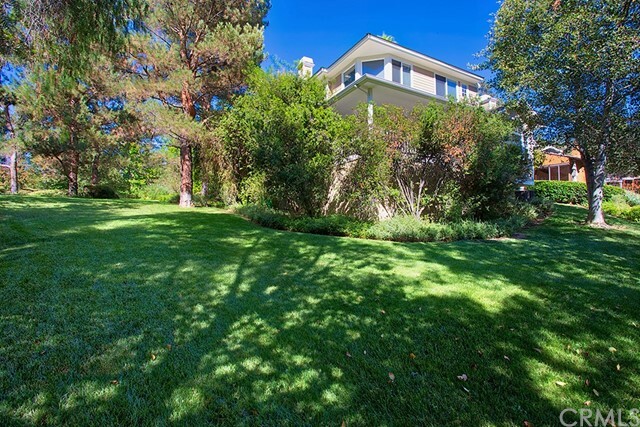 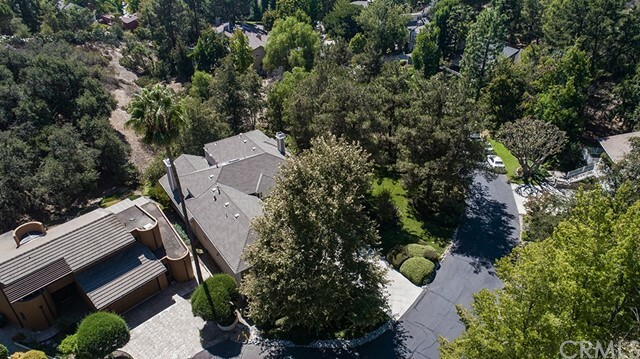 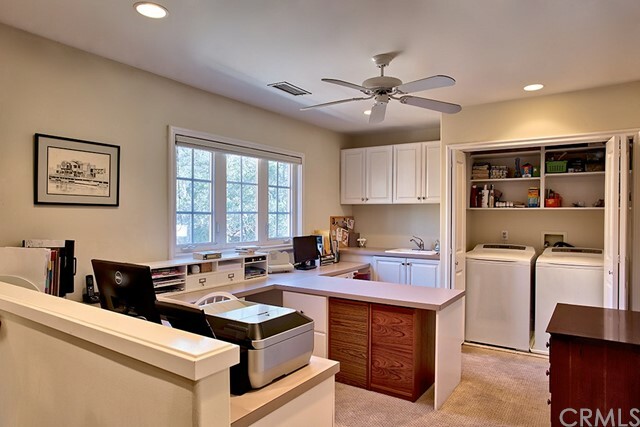 Situated in the much sought after Village community of Coto de Caza, this home boasts a tranquil setting amongst the trees with views from every room. 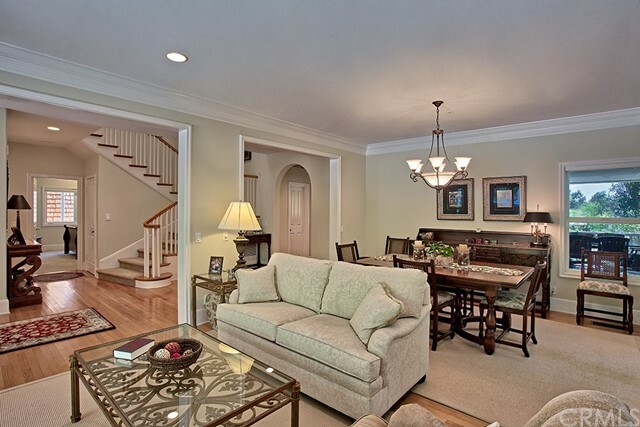 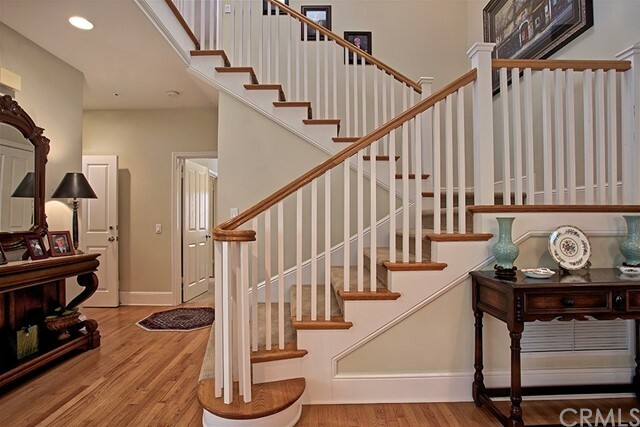 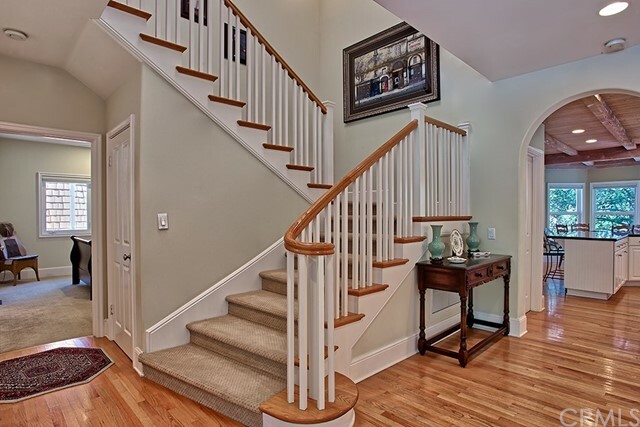 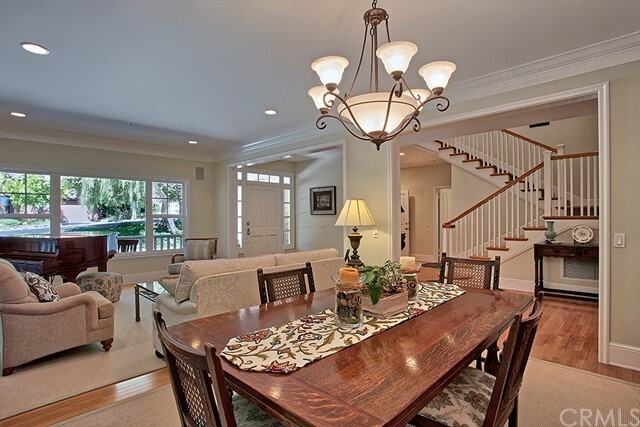 Upon entering you are greeted by a beautiful wood banister staircase and spacious living room with crown molding, Continue through the hallway to a kitchen fit for a chef. 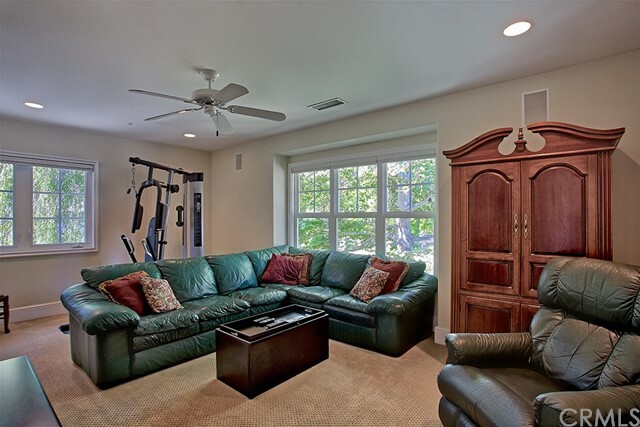 Beneath grand wood beamed ceilings you will find granite countertops, island gas range, walk-in pantry, and brand new microwave, oven and dishwasher. 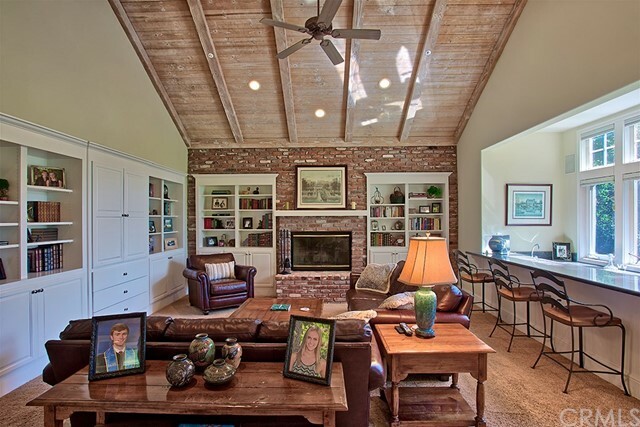 The kitchen opens to a large family room complete with used brick fireplace, built-ins and wet bar with a wine refrigerator that is perfect for entertaining. 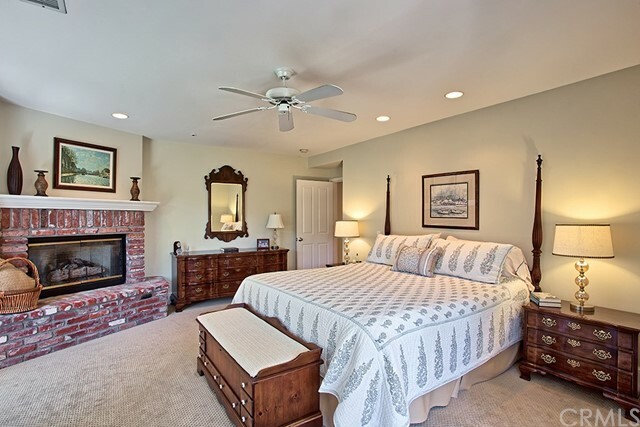 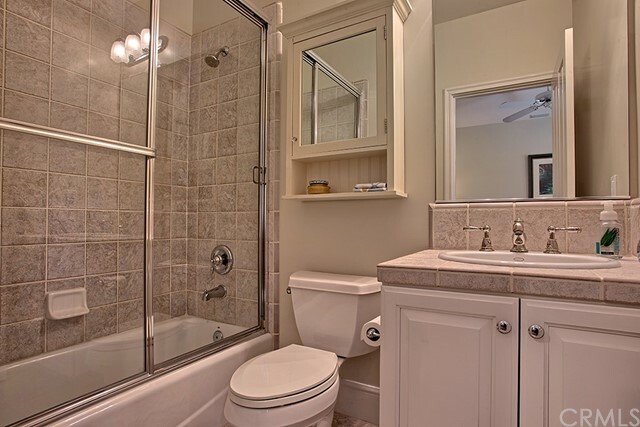 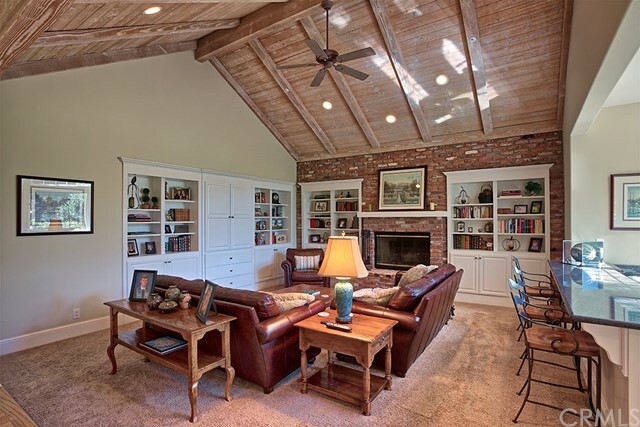 In the Master Suite you will find a peaceful retreat with used brick fireplace. 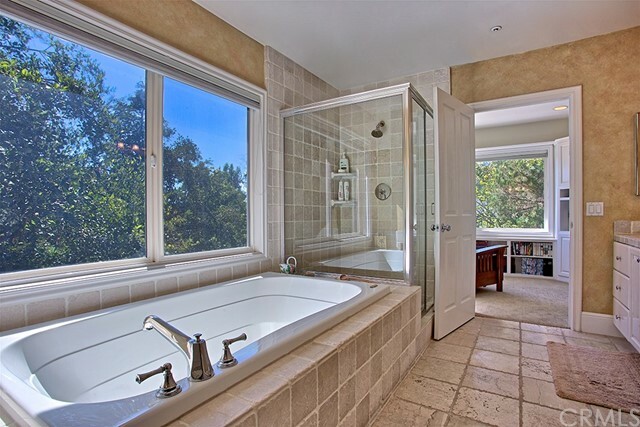 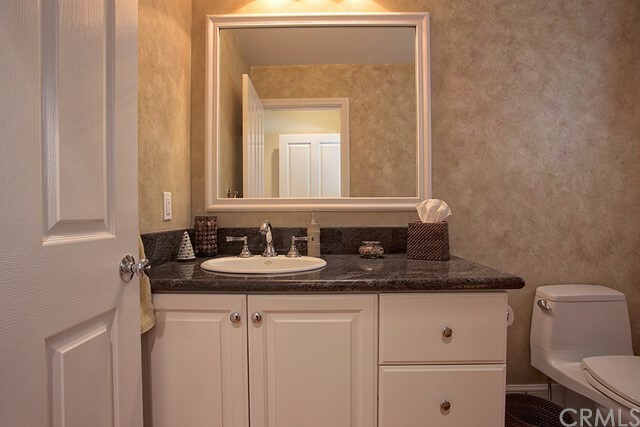 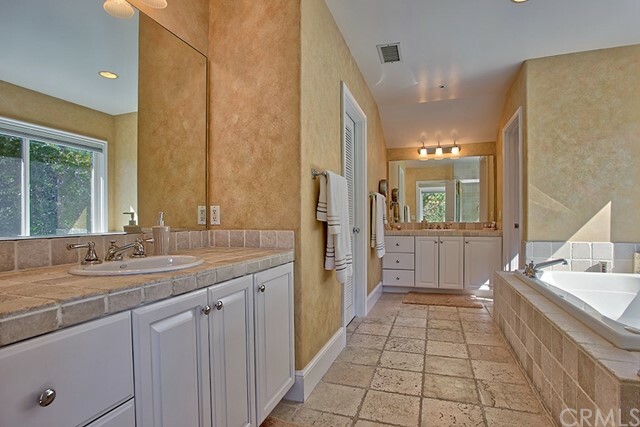 The master bath features elegant tumbled stone flooring and his & hers natural stone counter vanity areas. 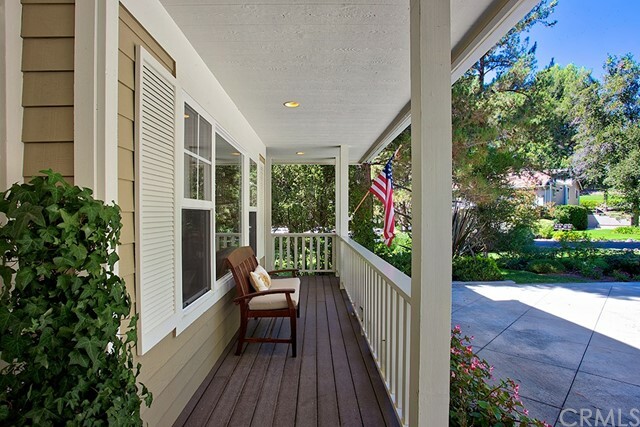 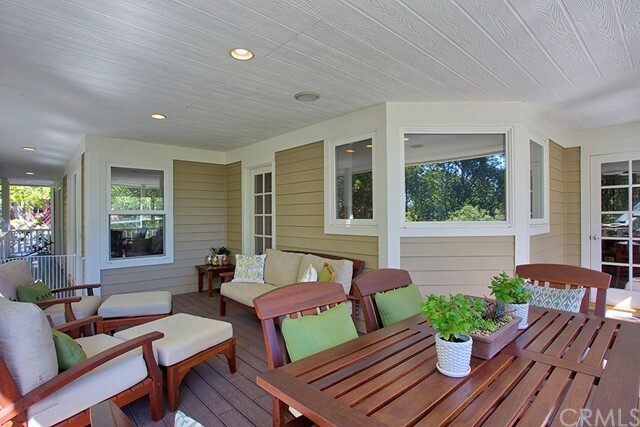 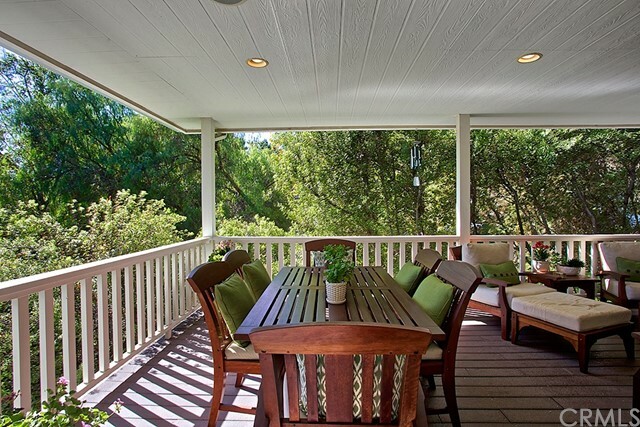 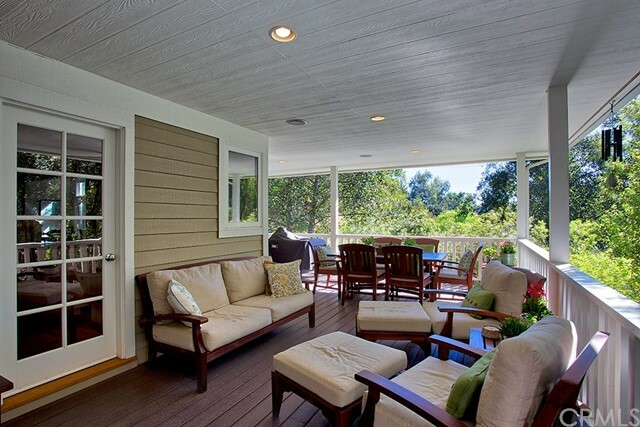 This is one of the most appealing homes in the Village and features a wrap around covered deck. 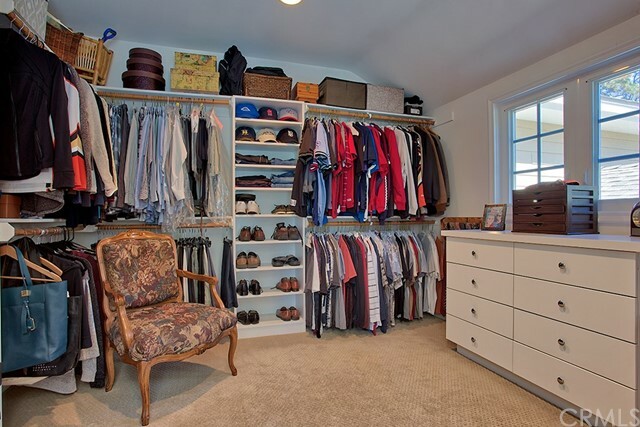 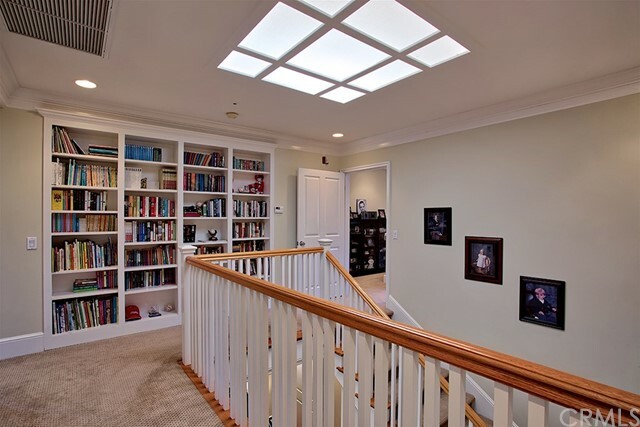 There is a separate entrance on the ground floor with a staircase leading to a large guest suite and bonus room/office that could be separate guest quarters. 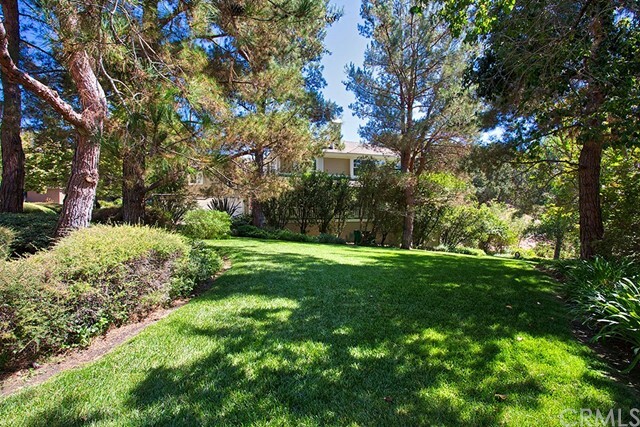 Quiet, private cul de sac. 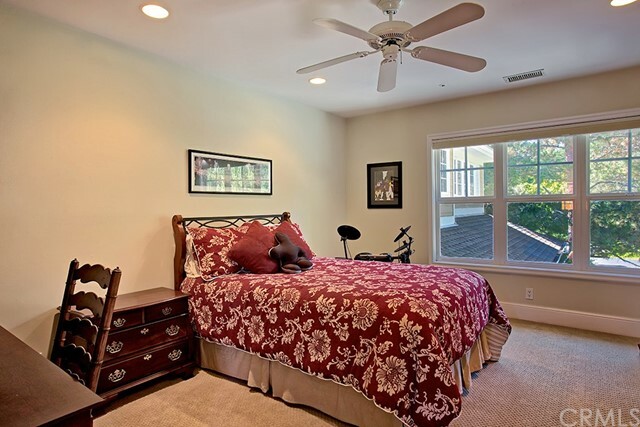 Every available amenity plus a low tax rate and low HOA dues.